United Parcel Service (UPS) is a package delivery company specializing in transportation and logistics services. It is the world’s largest package delivery company and a leading global provider of specialized transportation and logistics services. Every day, UPS manages the flow of goods, funds, and information in more than 200 countries and territories worldwide. The integration of UPS with your Spree Commerce store can be done quickly and easily following the guidelines mentioned below. International Package operations include delivery to more than 220 countries and territories worldwide. UPS was founded in 1907 and is widely recognized and renowned brand. Trusted by your customers. Stay up-to-date with an integrated view of vital shipment details throughout your entire supply chain. With UPS Tracking, you have the tools you need to track a single shipment moving across the country or containers moving around the globe. The easiest way to integrate your eCommerce store with UPS is through a shipping platform like Shippo, ShipWire or ShipStation. 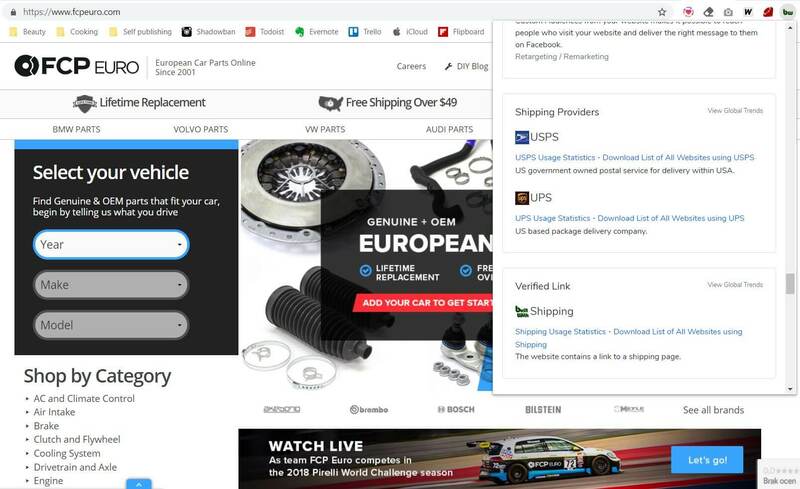 FCP Euro is the leading online catalog store for OE, OEM, and Genuine replacement parts for European cars. The company uses Spree for their eCommerce platform and UPS and USPS for delivery.